Beware the evil in the woods. . . In a village at the edge of the wilderness of northern Russia, where the winds blow cold and the snow falls many months of the year, an elderly servant tells stories of sorcery, folklore and the Winter King to the children of the family, tales of old magic frowned upon by the church. But for the young, wild Vasya these are far more than just stories. She alone can see the house spirits that guard her home, and sense the growing forces of dark magic in the woods. 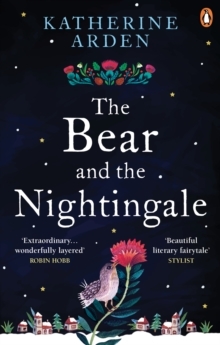 . . Atmospheric and enchanting, with an engrossing adventure at its core, The Bear and the Nightingale is perfect for readers of Naomi Novik's Uprooted, Erin Morgenstern's The Night Circus, and Philip Pullman's His Dark Materials. *****Now with over 100 5* reviews, readers are spellbound by this magical story:'This book stayed with me, I didn't want it to end''A beautifully written story''An entrancing story, which swept me up from the very first chapter''Full of magic'*Make sure you've read all the books in the Winternight Trilogy*1.